The Ebola outbreak exposed the weaknesses in Liberia’s health care delivery services, already greatly incapacitated by the time the World Bank and other development partners intervened in it in September 2014. The dilapidated state of the country’s public health care included everything from inadequately qualified health practitioners and poorly equipped medical facilities, to the lack of infection control measures. The World Bank is supporting all of the plan’s nine pillars as the largest financier, which includes support for the health workforce and for reengineering health infrastructure, as well as for epidemic preparedness and response, quality service delivery systems, community engagement, health financing systems, medicine management and supplies. Health infrastructure activities supported by Bank funding include the construction of 82 housing duplexes to improve living conditions for health workers and attract personnel to work in the hard-to-reach rural areas where they are most needed. Preparations are ongoing, too, for the building of the state-of-art Redemption Teaching Hospital in the suburb of Caldwell in Liberia’s capital, Monrovia, and new dormitories and classrooms at the A.M. Dogliotti College of Medicine at the University of Liberia. All this will bring relief to the inhabitants of Liberia’s rural areas and to densely populated suburbs in Monrovia. Over 520 pieces of equipment, including X-ray units, infant incubators, electrosurgical units, and vaccine refrigerators, and a total of 200 instruments and over 120 pieces of laboratory equipment, chemical analysers, centrifuges, and reagents have also been supplied by WHO/UNOPs with support from the Bank. Initially, the Bank financed the development of 24 triage and isolation facilities in five counties for infection control. These, located in rural hospitals and health centers, help in the screening of inpatients for infectious diseases and also help to isolate patients, if required. Existing isolation facilities have been renovated in three major hospitals, increasing their capacity to admit large patient caseloads, both from Liberia and neighboring Guinea. The Bank also supports medical education programs in Liberia. These include the Graduate Medical Residency Program (GMRP) in Internal Medicine, Pediatrics, Obstetrics and Gynecology, Surgery, and Family Medicine. As a result, the GMRP and pre-clinical education at the University’s College of Medicine, for the first time in history, will have full set of core and sub-specialty faculties to cover entire education programs for the next two years. Currently, about 48 physicians are benefitting from the program, with the first 16 specialists due to graduate in July. 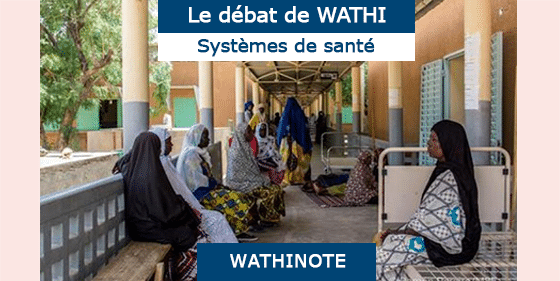 Les Wathinotes sont soit des résumés de publications sélectionnées par WATHI, conformes aux résumés originaux, soit des versions modifiées des résumés originaux, soit des extraits choisis par WATHI compte tenu de leur pertinence par rapport au thème du Débat. Lorsque les publications et leurs résumés ne sont disponibles qu’en français ou en anglais, WATHI se charge de la traduction des extraits choisis dans l’autre langue. Toutes les Wathinotes renvoient aux publications originales et intégrales qui ne sont pas hébergées par le site de WATHI, et sont destinées à promouvoir la lecture de ces documents, fruit du travail de recherche d’universitaires et d’experts. The Wathinotes are either original abstracts of publications selected by WATHI, modified original summaries or publication quotes selected for their relevance for the theme of the Debate. 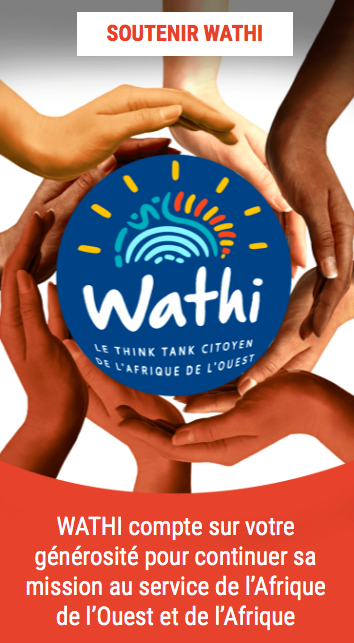 When publications and abstracts are only available either in French or in English, the translation is done by WATHI. All the Wathinotes link to the original and integral publications that are not hosted on the WATHI website. WATHI participates to the promotion of these documents that have been written by university professors and experts.